As you know there is a vast difference between self and professional upholstery cleaning. First, self cleaning involves trial and error methods before getting adept in cleaning techniques. Secondly doing it yourself could affect people suffering from allergies toward chemicals. Finally professionals can achieve a greater level of cleanliness with commercial grade equipment when compared with the performance of portable machines made for home use. Upholstery cleaning is an integral and essential part of the regular cleaning schedule for your home. Whether you are treating leather upholstery or simply applying store bought upholstery cleaner to your living room sofa, it is important to know that you are doing it the correct way. The enthusiasm and the elegance of your newly bought furniture or drapes fade away with time and even get worse when your upholstery fabric get stained or soiled. It is easy to make your upholstery look great again with the help of upholstery cleaner. Both of the methods can be either done by yourself or by hiring professionals. Although it might sound Latin and Greek to first time buyers, soon you can master the method of cleaning furniture upholstery and upholstery fabric. There are ready-made chemical kit and equipments that are available at affordable prices in the market. Once you have opted for the right choice you can start your upholstery cleaning process within minutes. The important point to be noted while choosing chemical kits is to look for green cleaning agents. By opting for echo friendly chemicals you not only can save the ozone layer but also your family from various hazards. First dilute the chemicals to recommended levels and use air pressure for the chemicals to reach the nozzle of the cleaning equipment. Then switch on the equipment and allow it foam and gently move the spinner across the upholstery fabric. You can apply required pressure on heavily soiled areas and allow the chemicals to dry for about five to ten minutes. Then the crystalline substance can be thoroughly vacuumed. One great advantage of dry cleaning is that your can instantly use the upholstery as it dries out fast. In the steam cleaning method a powerful jet of steam is used to cleanse the furniture upholstery. It is not unusual to include cleaning chemicals along with the steam to have a better cleaning effect. When it comes to steam cleaning equipment, there are both commercial grade and portable home purpose machines. You can also hire the machine for rent. While this method is certainly Eco friendly, it takes a long time for the upholstery and carpet to completely dry. 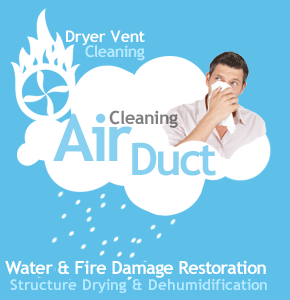 Proper drying is vital in this process as improper drying would lead to microbial growth. Our carpet and upholstery cleaning services in Austin, Texas not only initiate dusting, vacuuming, shampooing, disinfecting, deodorizing and even upholstery stain removal, but also utilize powerful equipment. Our truck mounts perform a more than thorough job and cover areas that a domestic or rented machine just does not reach. Book our upholstery cleaning services and save your money in the long run. Call Carpet Cleaning Austin at 512-692-6865.